You all know how much I love photography! Everything I know about it is all pretty much self taught or what I’ve learned from friends. I know there is so much about photography that I don’t know, or maybe I’m doing incorrectly. So I was THRILLED recently when Drew of Momtog contacted me about reviewing The UNmanual, a guide that explains why your DSLR camera does what it does… in English! Ummm, YES PLEASE! I was all over that! Drew is a mom who loves photography. She’s an insanely talented photographer who shares her vast knowledge of photography and her camera on her Momtog blog. The UNmanual was born when Drew realized that most of us don’t understand a word of our camera manuals, and most courses offered at universities will leave you even more confused! Drew says The UNmanual is for beginners, but let me tell you, I’ve been shooting my dSLR in manual for over two years now, and there was still information I learned while reading thru the book. What’s really awesome is, when you purchase the UNmanual, you instantly receive a downloadable file, but you will also receive a hard/paper copy in the mail! Which I LOVED. As much as I enjoy being on the computer, something like this I like to hold in my hands and read thru and make my own notes. Drew’s UNmanual is everything you could want in a camera manual and more! It was easy to read, understand and follow. It is packed full of beautiful photos to illustrate every topic that is covered, giving you a great visual on what is being explained. I’m not much of a “manual reading girl” – more of a “visual girl” and the UNmanual is the perfect solution! It will change the way you think of your camera. Words like aperture and exposure will no longer scare you. You will take pictures you only dreamed you could take. You will have the confidence to use your camera like it should be used. I can’t wait to get hold of her UNposing Guide! Break the habit of saying “Cheese!”………. The UNposing Guide helps you capture new, unique, natural and candid looking poses…… something I think a lot of photographers tend to struggle with! **The UNposing Guide is geared more towards professional photographers rather than the amateur Mom*tog. 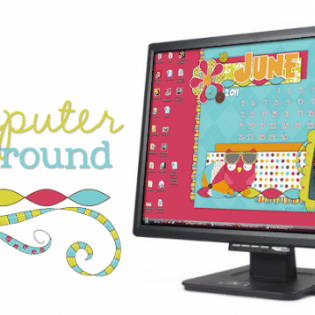 Right now thru June 10, 2011 you can use the code “tidymom” to receive 20% off when you purchase either The UNmanual or The UNposing Guide or both in The Momtog Store. 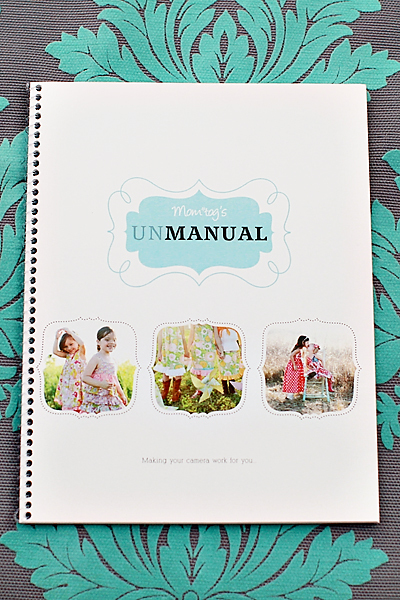 Drew would like to give one lucky TidyMom reader The UNmanual of their very own! Giveaway will end on June 9, 2011 at 5 pm CST. 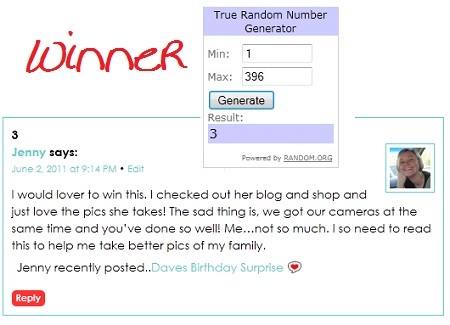 One winner with a valid entry will be selected at random using random.org. I will email the winner and they will have 48 hours to claim their prize or another winner will be selected. so love this! visited both the store and the blog 🙂 hoping to win the unmanual…sounds amazing! and would help me out so much…I take ALOT of photos. I would so benefit from having this manual. I got my camera a few months ago. I have read and reread the manual, but it is still gibberish. Being a new mom, working full time, I don’t have time to do much research on the subject. I love photography and would really like to learn how to use my camera to its full potential. I found this on Pinterest and I love it! I know the giveaway is over, but I had a question about it. Is there anywhere people can take a sneak peak at the manual to decide if it is for them or not? Hello. I was wondering if the UNManual photography guide is still available, and if so, where I might find it. Thanks! Hi, I just came across this post. Is this book/UnManual still available?? Just curious! Thank you! Where can it be purchased? What a cool product! Love the link. Thanks so much….this mama who wants to do more than point and shoot but is intimidated is thrilled!